The class and Moseby take a trip to Parrot Island, where London has gone to avoid the ship's school. However, while on the island they all end up in jail and have to go in front of the judge, Simms, the one who arrested them. A crush's rich boyfriend and rude mother try to keep Zack and her away from each other. Meanwhile, an intelligence test between London's dog, Ivana, and Bailey's pet pig, Porkers, is held, with Cody as the referee. The twins sneak out after their curfew to catch the Starlight Follies, suspecting that their teacher, Miss Tutweiller, is one of the showgirls. Elsewhere, London and Bailey try to find out if Miss Tutweiller and Mr. Moseby are dating. Zack, Cody, London, and Bailey meet Arwin's equally clumsy cousin Milos. Cody tries to get proof of a mythological sea creature. 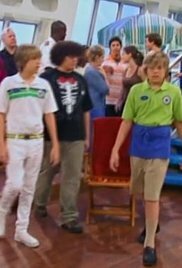 Cody and Zack invite their friends to meet them on the ship. London makes fun of Bailey's clothes and causes Bailey to scream at her. The kids set Moseby and Ms. Tutweiller up on a date. Maddie Fitzpatrick attends the cruise on the ship as it heads to a castle in a country called Lichtenstamp, whose young prince becomes enamored with Maddie. A performing hypnotist entrances London into thinking she is Bailey. 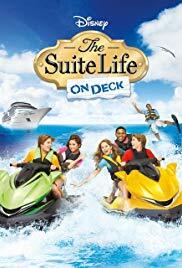 Zack and Cody are visited on the ship by their parents, who are on the ship to perform in a show, much to the twins' embarrassment. When a Marissa, a girl with amnesia, is brought aboard the ship, Zack and Woody suspect she might be a mermaid. Cody becomes upset because of the overuse of towels on the ship. After Kirby injures Moseby, Connie takes over Moseby's work and breaks a boat in a bottle intended as a gift for the captain. Everyone tries to comfort Moseby, but none of them do any good.